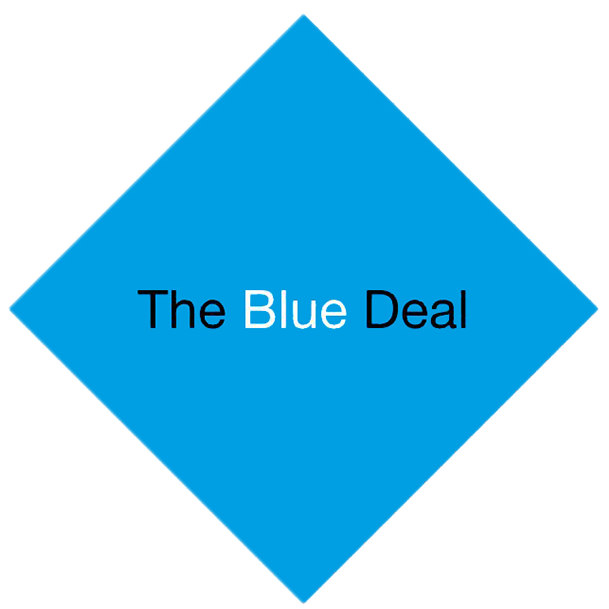 We are The Blue Deal. We are not ‘green’ but ‘blue’. We believe in sustainable entrepreneurship. Actually, it’s the only thing we do. We understand that, along with green sustainability goals, you also need to achieve your blue business goals. Nevertheless, we think humanity is slow on the uptake with this. The sooner all of us achieve sustainable entrepreneurship, the better. That’s our mindset. We take responsibility and choose to accelerate organisations adopting sustainability. And the great thing is, sustainability and business goals reinforce each other. 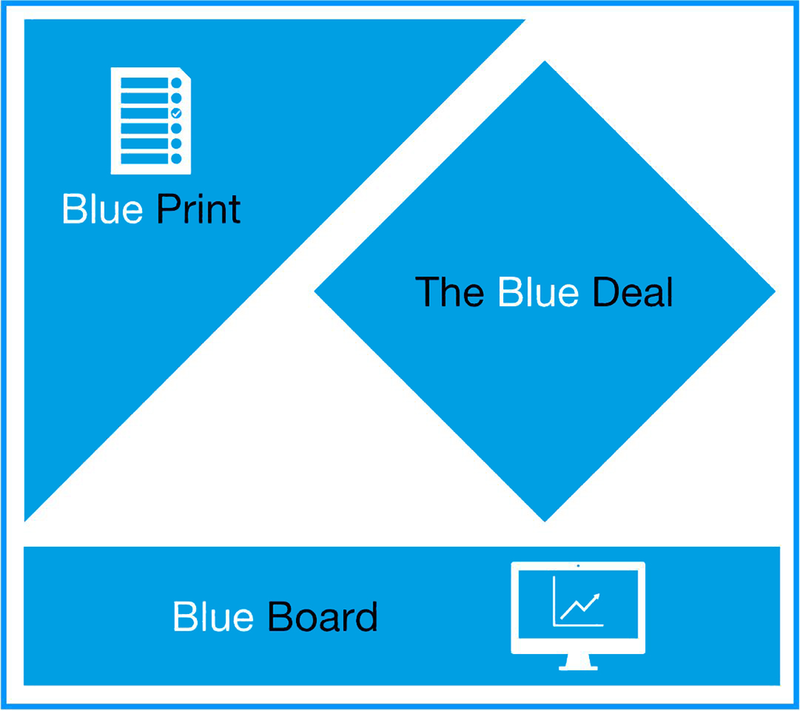 Click Blue Print, Blue Deal or Blue Board in the image above for more information. We hook in to the ambitions of your company both in terms of sustainability and financial. We analyse the current situation and the potential for acceleration taking in to consideration the technical, economical and organisational aspects of your business. 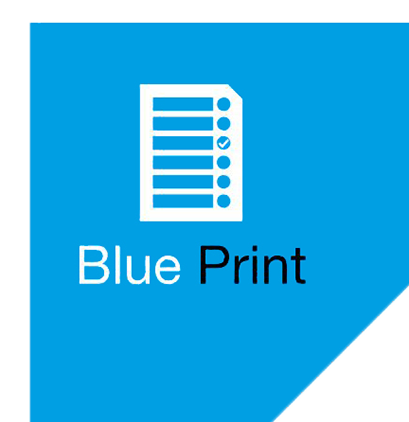 We make a Blue Print and outline possible points of action. We look at independent projects as well as the organisation as a whole. 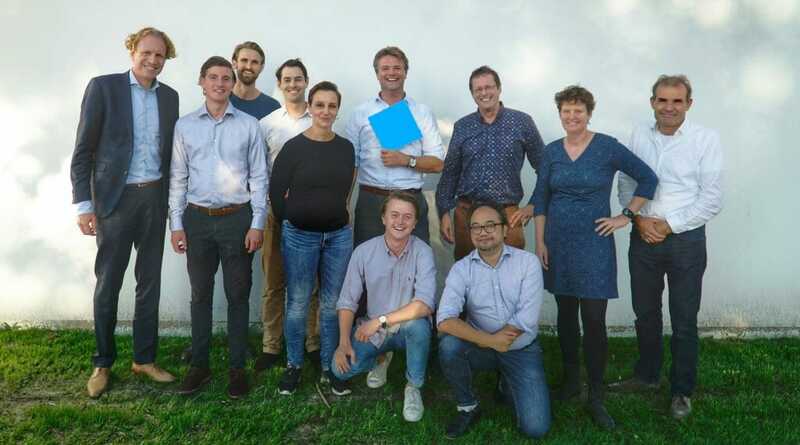 We introduce a sustainability business case (Blue Deal) combining desired return on investment with other key criteria. Based on these results, we put together an action plan and start implementation. We monitor progress (Blue Board) and take measures where and when necessary. We facilitate accelerated goal achievement and thereby expedite the speed with which your company can contribute to a more sustainable society. Integral, transparent and measurable.